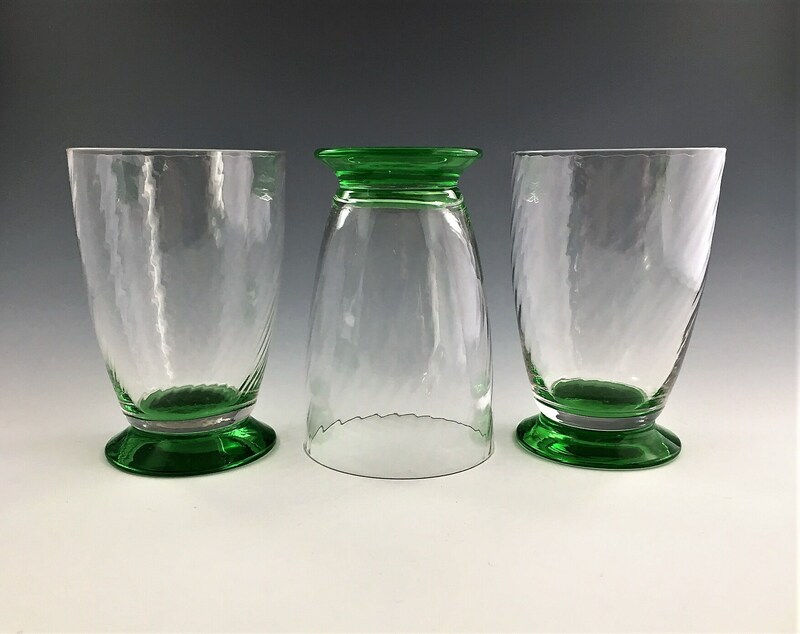 Featured here is a marvelous set of 7 Depression Era footed tumblers. 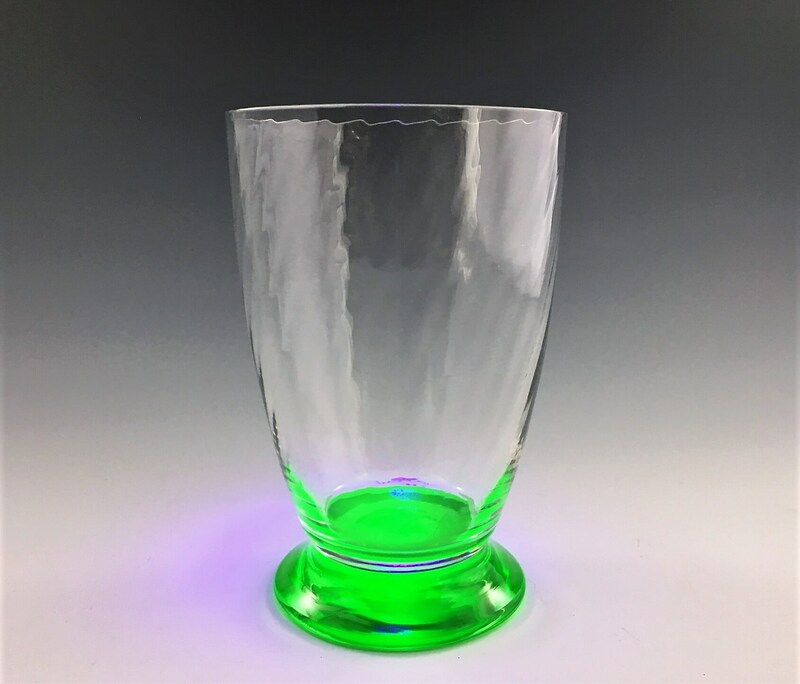 These cool pieces have a spiral optic design and unique uranium glass bases they glow brilliantly under UV light (see photos). 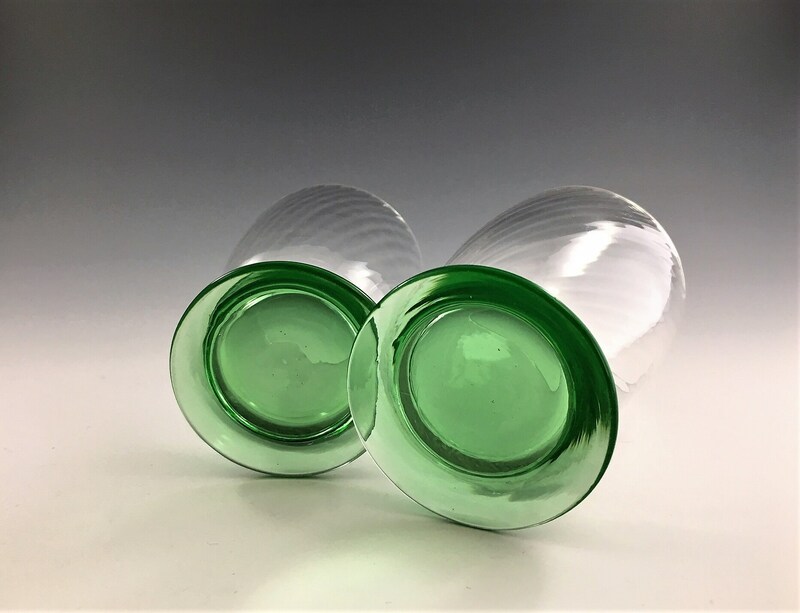 These tumblers are about 4 1/4 inches tall and the round base is 2 1/4 inches in diameter. Overall, they are in splendid condition for being close to 100 years old. 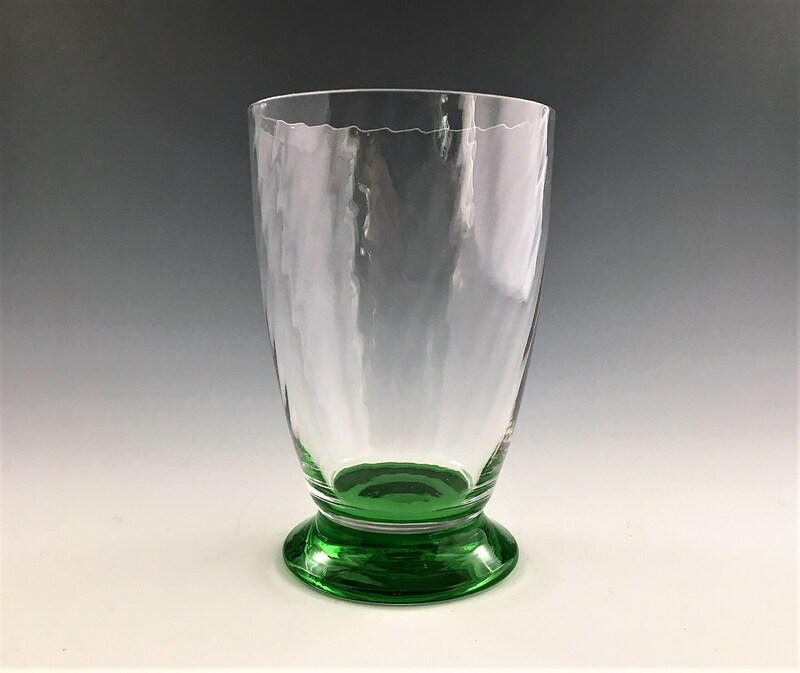 One glass has a small chip to the rim, and another has a chip on the green base. The other 5 are in excellent shape. I have priced these so that the 2 flawed pieces are included for FREE. 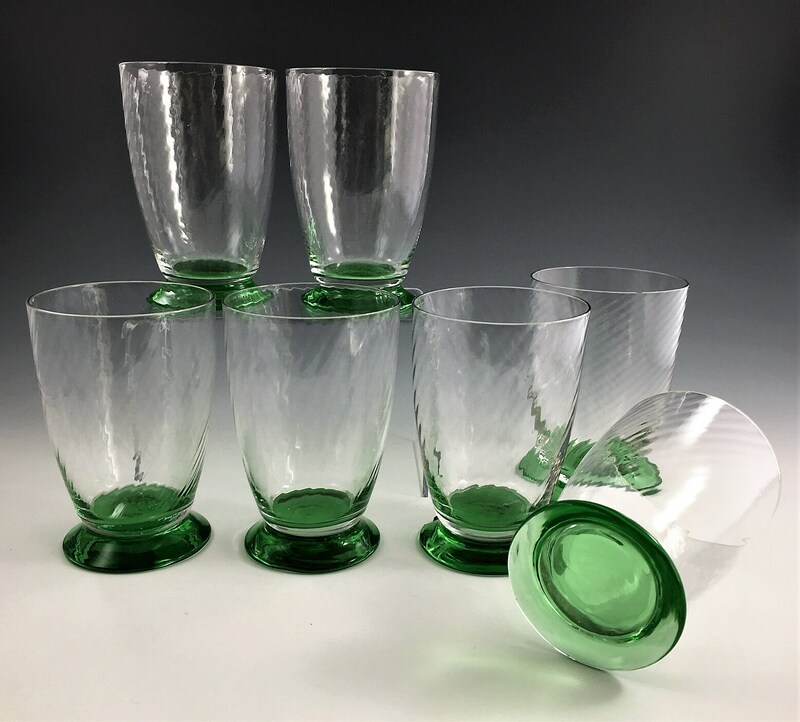 All 7 pieces being offered for one low price.